An early teaching position for Leslie was as a fill-in teacher at Karyrie, west of Birchip for a month in May 1915. In late 1915, the Hamilton Senior Elementary School was gazetted as a High School and opened as Hamilton High School in February 1916. 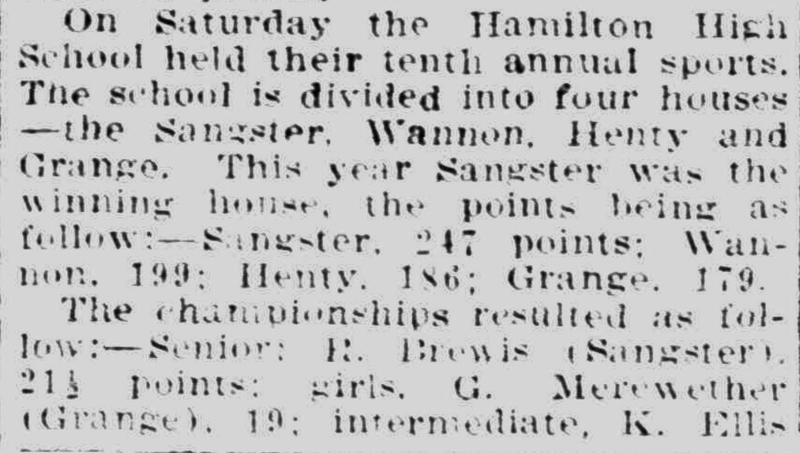 At just nineteen, Leslie Sangster was one of the first teachers at Hamilton High School, as a science teacher and sports master. At the end of 1916, Leslie received a posting to Stawell High School but decided to enlist instead, doing so on 23 January 1917 in Melbourne. Leslie went into camp at Royal Park and before leaving overseas received a promotion to Lance Corporal. 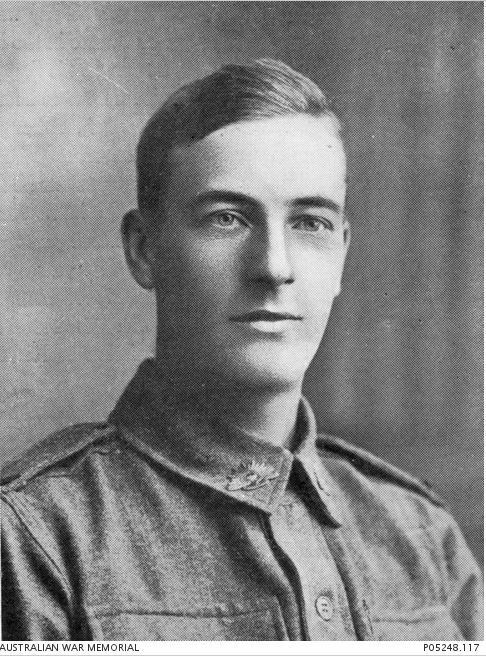 He left Australia in May 1917 and arrived at Plymouth England on 19 July 1917. After training in England, Leslie left with the Cyclists Battalion for France, arriving on 1 November 1917. Soon after arrival, he transferred to the 5th Field Company Engineers and was at Ypres, Belgium by 6 November. On 25 February 1918, Leslie was given leave to Paris for eight days, returning to his battalion on 6 March then at Romarin in Belgium. Two days later, Leslie wrote a letter to his father about his time in Paris. He declared it the most beautiful city in the world. On 26 March while still in Belgium, Leslie transferred to the 2nd Division Signal Company then at Ravelsberg, Belgium. On 4 April the company moved to France to Bertangles in the Somme area then Beaucourt where they remained for the rest of the month. 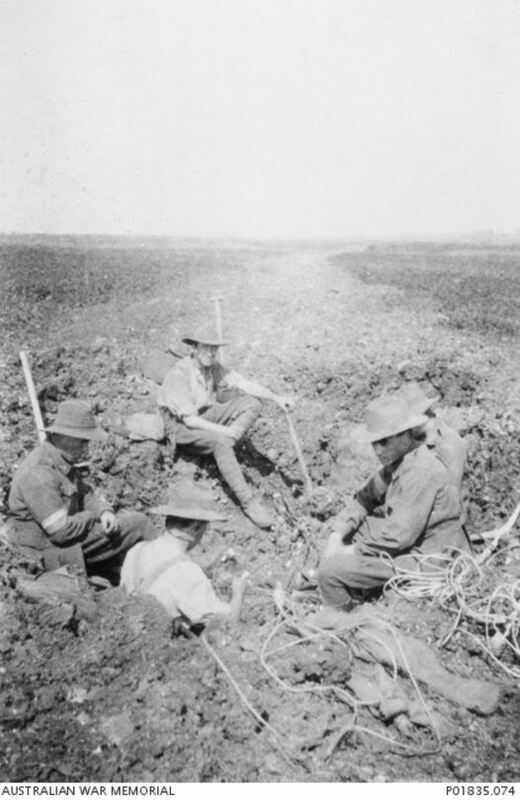 By August, the company was in the Villers-Bretonneux area ensuring all lines of communication remained open. On the night of 18 August, Leslie was with a group repairing telephone lines between Harbonnieres and Proyart when a shell exploded beside them. Leslie was hit with shrapnel to the throat and killed instantly. He was just a month short of his twenty-second birthday. Leslie was buried in the Bayonvillers British Cemetery, then located behind the dressing station at Bayonvillers. His body was later exhumed and buried at the Heath Cemetery at Harbonnieres. Leslie Sangster is remembered on the Hamilton War Memorial. 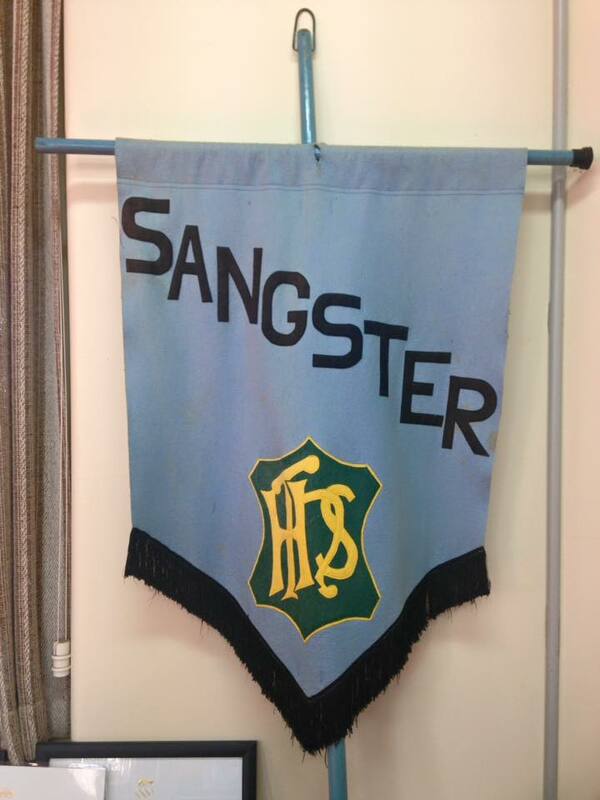 He was also given a long-lasting tribute at the Hamilton High School with one of the school’s sporting houses named after Leslie, along with Wannon, Henty and Grange house. For more than seventy years after his death, the name of the talented young teacher continued to ring out across the school. “School Sports” Weekly Times (Melbourne, Vic. : 1869 – 1954) 7 November 1925: 85. Web. 16 Aug 2016 <http://nla.gov.au/nla.news-article223304850&gt;. Image courtesy of Keryn Wilson.